Note :- For More Details Read Official Notification. GET ALL INDIA GOVERNMENT & PRIVATE JOBS ALERT FREE ON YOUR WHATSAPP. 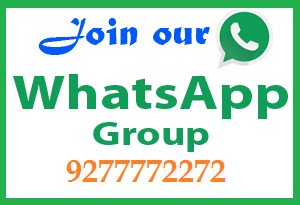 ADD THIS MOBILE NUMBER (9277772272) ON YOUR WHATSAPP GROUP. • For Junior Engineering Assistant :- 3 years Diploma in relevant Engineering from a recognized Institute/University Or Matric with ITI in Fitter Trade with Pass class. • For Junior Material Assistant :- 3 years Diploma in Mechanical/ Electrical/ Instrumentation Engineering from recognized Institute/University with relaxed minimum of 40% marks in aggregate. • For Junior Accounts Assistant :- B.Com with relaxed minimum of 45% marks in aggregate from a recognized Institute/ University. Selections will be based on Written Test and a Skill/Proficiency/Physical Test(SPPT). Application Fee :- General and OBC candidates have to pay Rs.150/- though Online mode using either Debit/Credit Card or through Net-Banking only. SC/ST/PwD/ExSM candidates are exempted from payment of application fee. 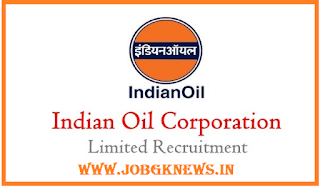 Interested candidates may apply Online through the website https://www.iocl.com form 10.10.2017 to 03.11.2017. Candidates may also send hard copy of Online application along with self attested copies of all supporting documents by ordinary post to Dy. General Manger (Human Resources), HR Department, Panipat Refinery & Petrochemical Complex, Panipat, Haryana-132140 on or before 17.11.2017.